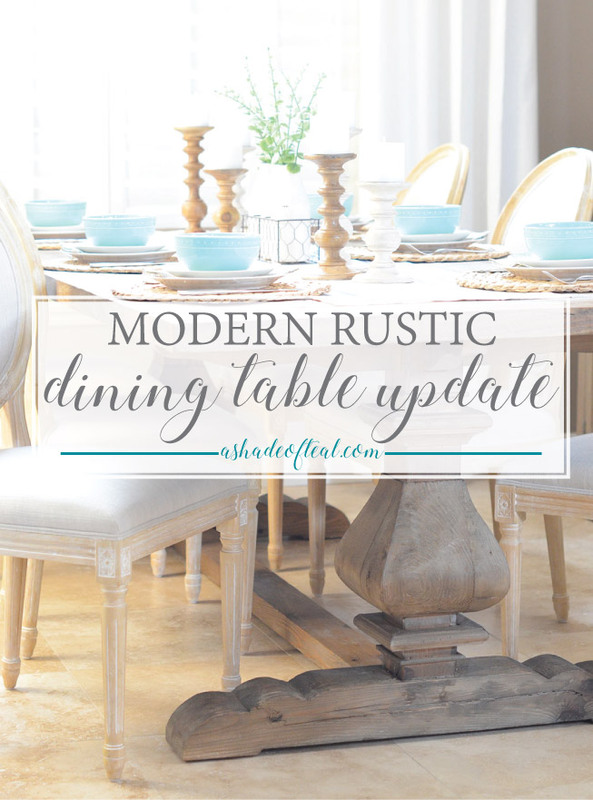 I’m back to share more details of my Modern Rustic Dining Room. Last week I showed you my new Balustrade Dining Table (HERE), today I’ll be featuring my new cabinet! 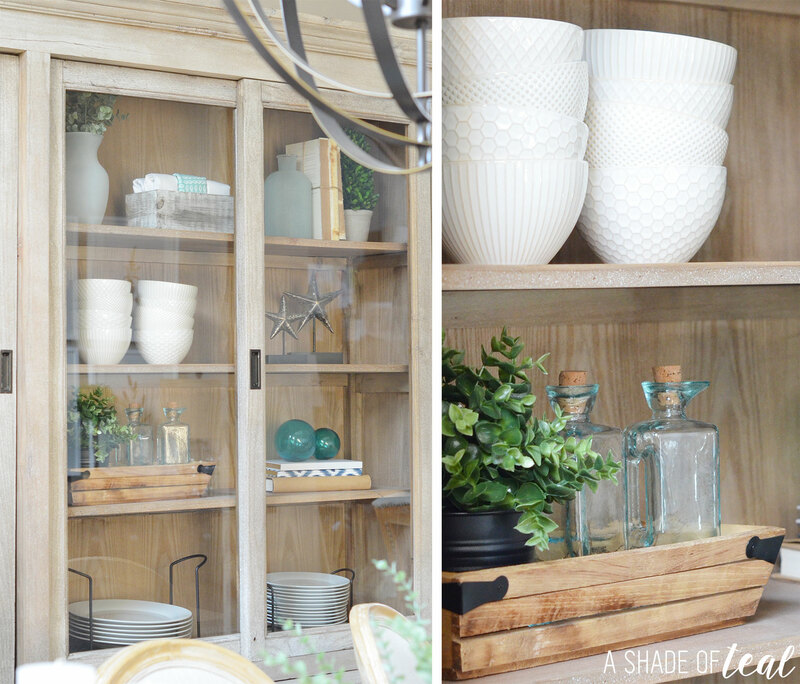 It’s the Cranberry Cabinet from Urban Home and I’m completely in love with it! 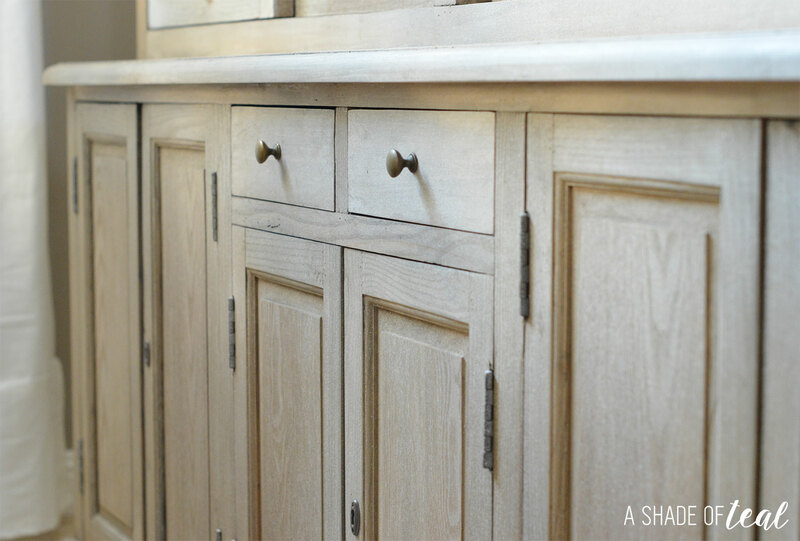 This cabinet has made the entire space come together and it’s one of the main focal points. 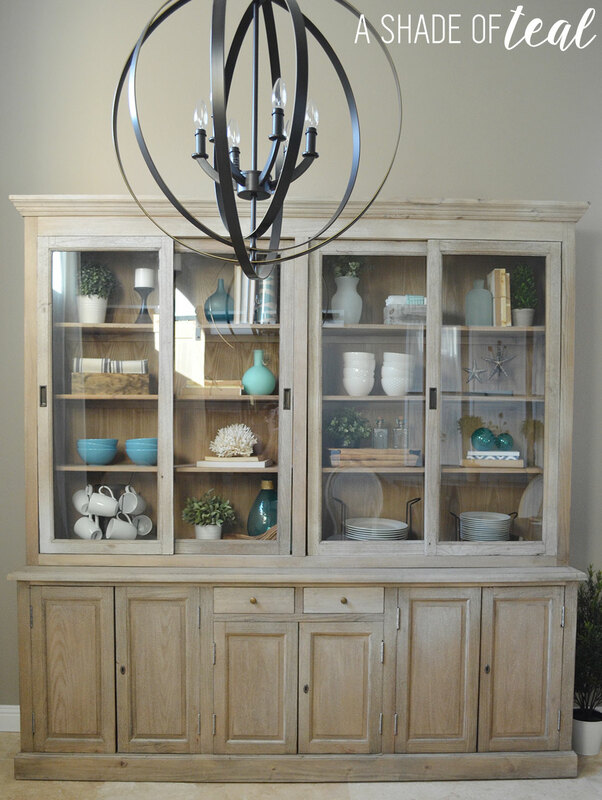 The style is perfect with it’s rustic charm and distressed finish. It’s another piece from their Reclaimed collection so each piece is unique. The bottom portion has 3 cupboards with shelf’s and a key entry. This has already been a major bonus keeping my daughter out of the cabinet. It also has 2 small drawers, perfect for place settings. The top of the cabinet has 2 glass covered sections, each with 4 shelves. 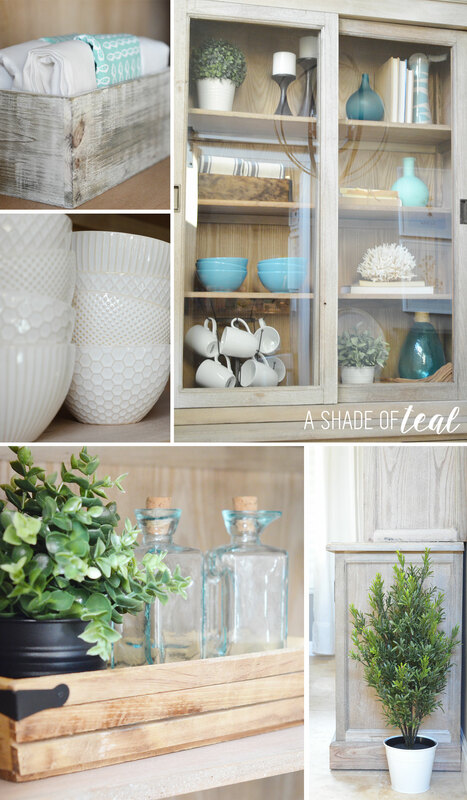 I love the endless options to display decor and our china. The glass doors, slide back and forth for easy access into the cabinet. The entire cabinet is pretty tall, measuring over 7ft and it’s about 7ft wide as well. I love that it’s also narrow since out dining space is not huge. But having it extra tall suits our 12 foot ceilings. 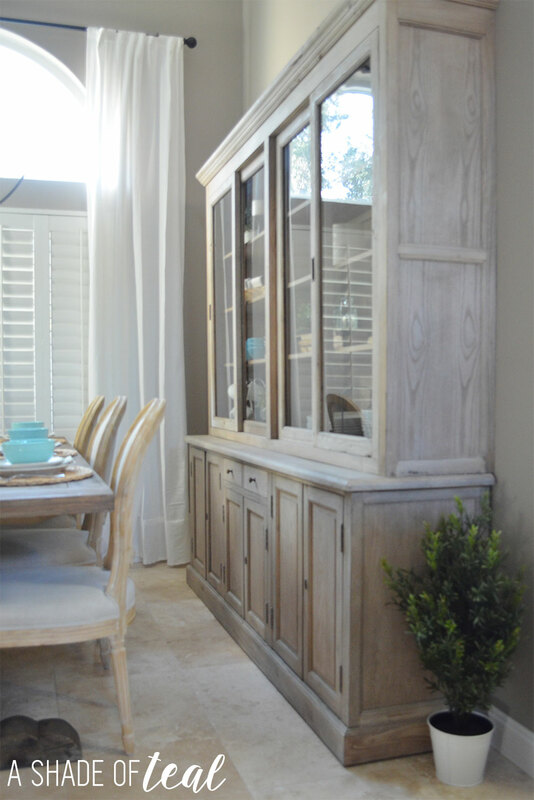 The finish of the cabinet is lighter than the table, but I prefer not having all my pieces of furniture match. I love the classic design of this Cranberry Cabinet and I’m so excited to enjoy it for years to come. Don’t forget to check out Urban Home’s amazing furniture selection, including this Cranberry Cabinet and the Balustrade Dining Table. Finding the Best Bed in a Box with Leesa®! « Mommy & Toddler Travel Car Kit’s, & What to Pack! I’ve just had to pin this, I have fallen in love with this cabinet! It is stunning! That is a beautiful piece and with the Teal color it just sticks out in a great way. It’s just enough to say “hey I’m here” without shouting. Simply beautiful! Oh this cabinet is really awesome! I want to have this! I am so jealous! LOVE everything… especially the dining room table! Beautiful! Mu Goodness, those are absolutely gorgeous. Oh to be able to afford to put in whatever we wanted, when we redecorate. They are so stylish and so elegant. Thank you for that…….making me envious now. I love beautiful pieces of furniture that can easily become an heirloom piece. I also like that you can see the wonderful bowls and trinkets inside. This can become a conversation piece when company is over. I love how this furniture looks!!! 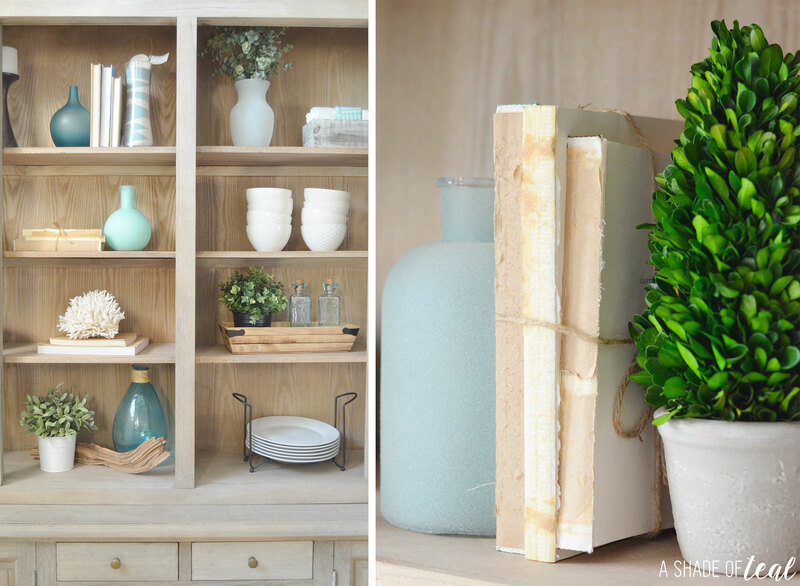 Rustic decor is one of our favorites for our house, makes it feel so homey! This looks lovely. I just really like the look and teal is one of my absolute favourite colours. Very creative. 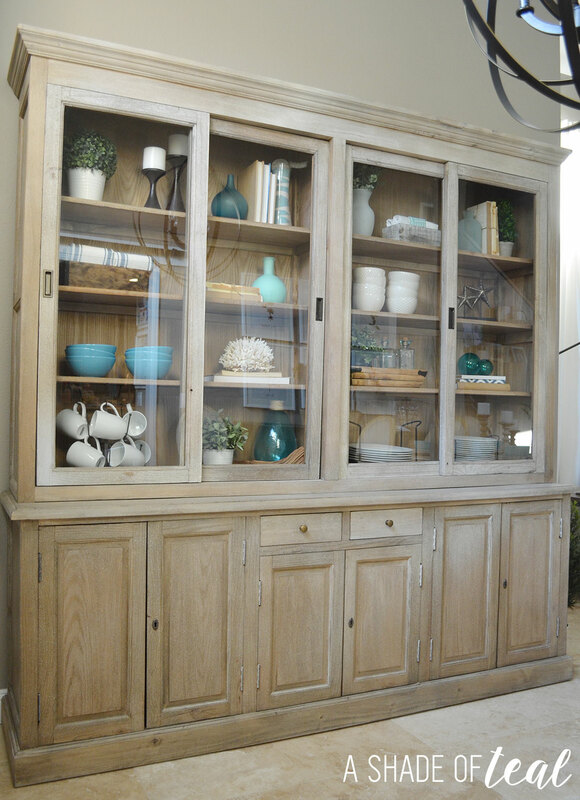 That is ,the most beautiful cabinet I have ever seen, I love the rustic wooden finish. Plus excellent photography as always! The cabinet and the table coordinated well. It’s interior was so modern where we can have a perfect place for family gatherings. 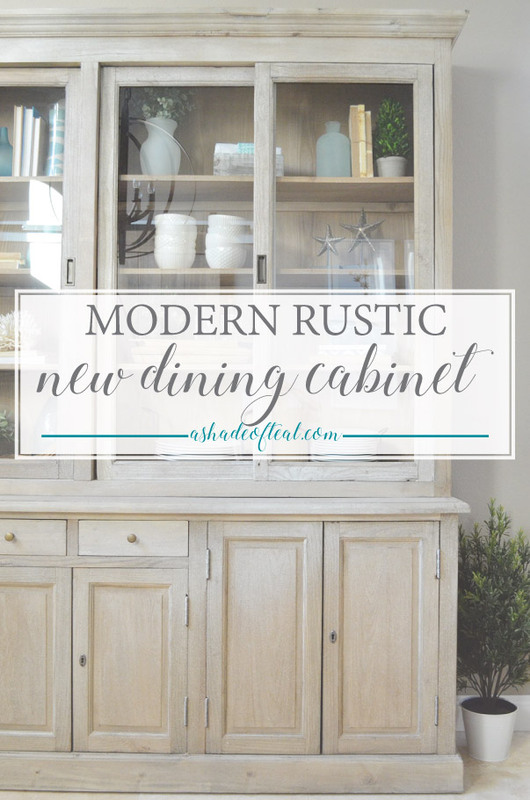 It’s a beautiful cabinet and I love the rustic feel! It’s definitely perfect with the modern theme! This is a beautiful piece! I love how it’s designed for showcase and I love the beautiful pop of color! I love that cabinet! I love the rustic look. I really love this look! The blue color really looks great with the rustic look. This is such a beautiful cabinet! 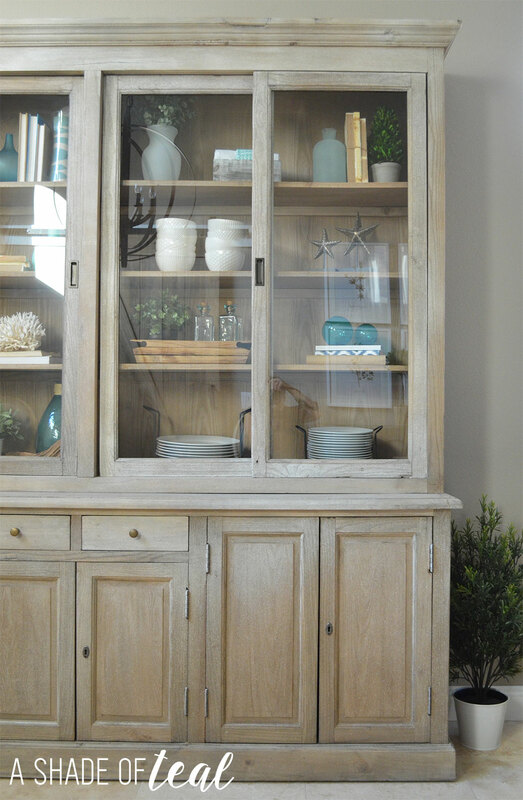 I lreally like rustic styled stuff, I would love to have a cabinet like this one! The rustic look is seriously one of my favorites! I love this style and would love to incorporate it in my home. Cabinet so interesting it looks this things good for my house this is really good for my dining room! Hope i have these one in my house. This is so gorgeous! I really love the touch of teal with the light colors, it just looks so pretty and airy. wow all those look awesome. i need someone to come and decorate my house for me.